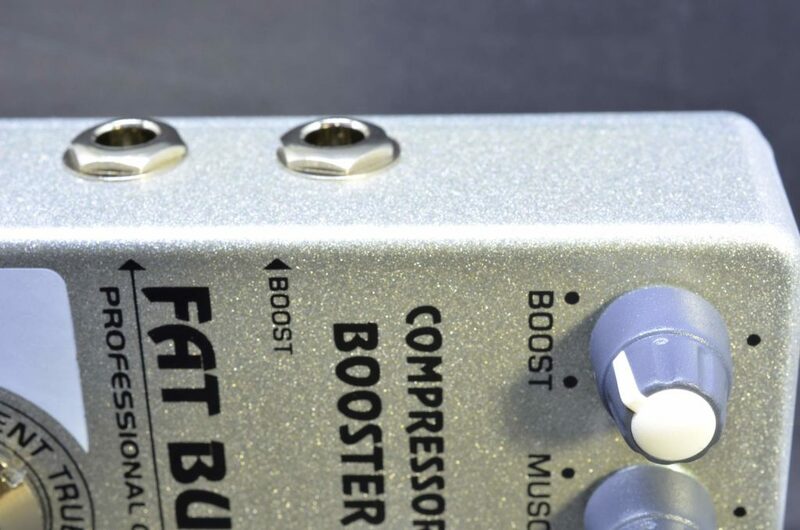 The FAT BURNER is a combo compressor sustainer headphone amp pedal . You can use it a compressor , a sustainer for clean tones or in conjunction with your fave distortion box, as a headphone practice amp with or without compression, and , last but not least for it is the innovation of the FAT BURNER, as an amp volume optimizer. Should I use a compressor ? How many times this question comes around, after reading that Mr.Famous uses one. 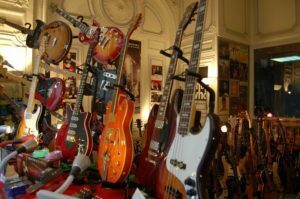 the FAT BURNER is capable of very high compression ratio to obtain heavenly sustained tones. The professional use of the FAT BURNER will soon becomes essential for you. 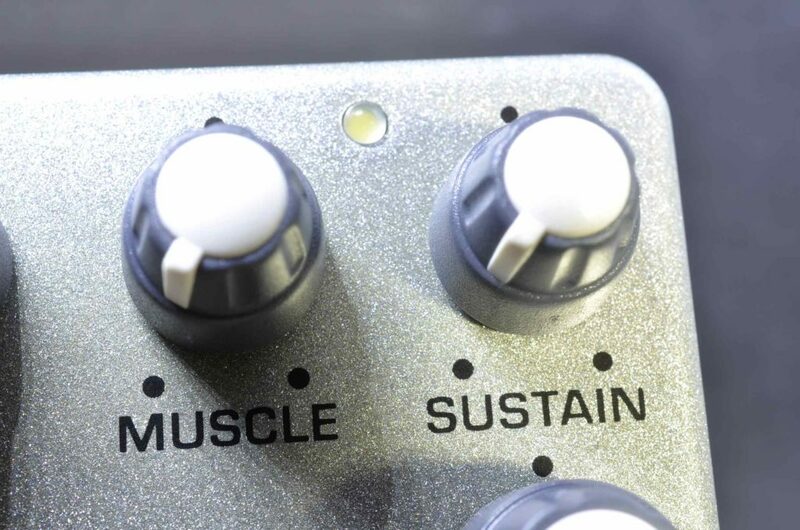 Dare take it off your pedalboard. So I found a reason for it : the FAT BURNER can be used as a headphone practice amp . Simply plug your fave headphone into the PHONE outlet, and enjoy its rich natural tone with or without compression . In case of headphone use, the FAT BURNER is switched on by plugging your guitar in.Use the footswitch to turn in/off the compression/sustain and the PHONE volume to adjust to your ears. While always present on rack units, headphone outputs on analog pedals are quite rare. OK, Don’t plug your amp to the PHONE out. Don’t do that ! 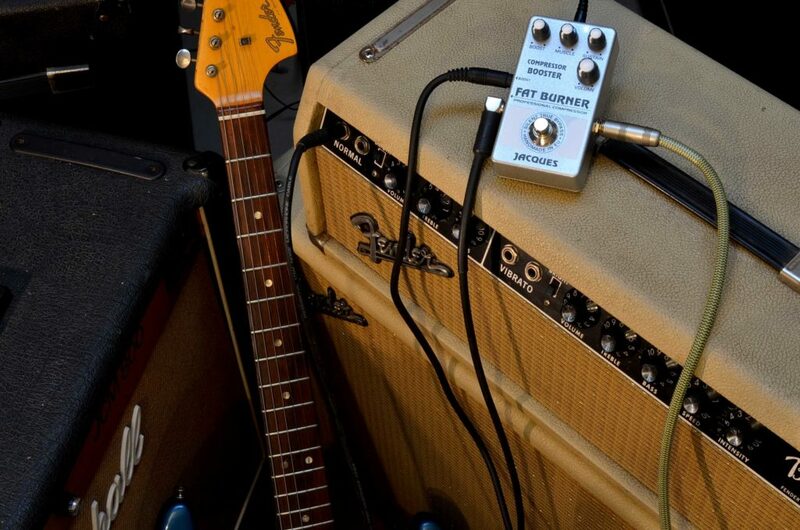 Now that you did –I knew you will– you are inflicting your fave amp a 10 times boost right in its front. But thanks to the compressor part of the FAT BURNER, the point of overdrive is pushed forward. In other words, your amp has NEVER been so LOUD . Take a ’52 TV front Fender deluxe like mine and a ’65 black face Fender deluxe. Basically you’ve got the same power amp section –if you except the negative feedback loop–. All the rest is preamp differences. As the ’65 has TONS more of headroom –clean volume before entering overdrive– I have always considered possible to give an amp more headroom from the OUTSIDE… and only a combination of powerful boost AND compression could give this result. We worked hard on this, and now there is evidence: with the FAT BURNER , you amp sounds like 50% more watts. — while your amp can take this safely, watch your speakers! 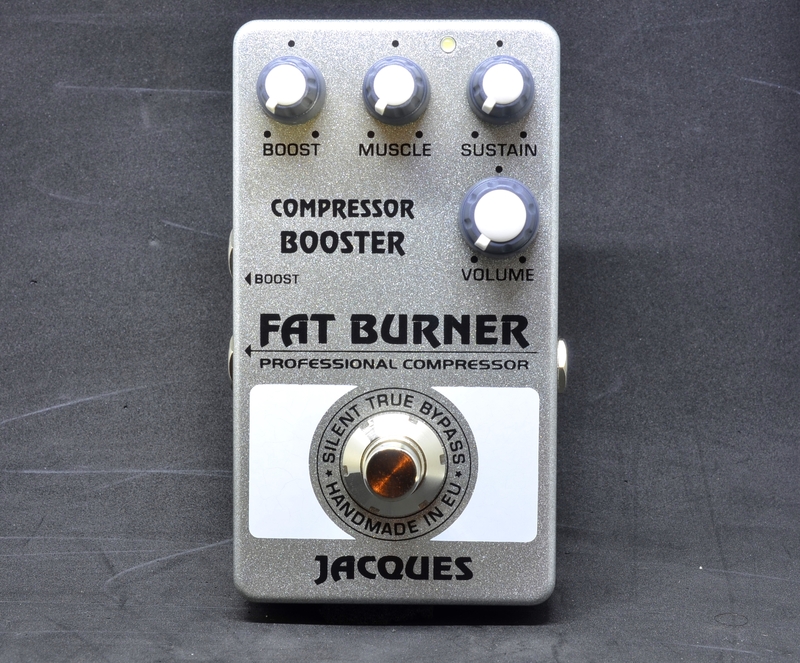 And of course , when overdrive becomes unavoidable, the FAT BURNER booster does it in style, a la JACQUES, thanks to its special harmonic clippers. If you own more than one amp, there is another reason why you should purchase the BURNER: thanks to its separated AMP/PHONE circuits and outputs , the BURNER makes the PERFECT signal splitter with OR without compression . So why pay top dollars for sophisticated signal splitters when you can have the same quality PLUS unlimited gain AND marvelous compression ?